I was on the lookout for some cute handmade spooky decorations as I buy my Halloween gubbins in September. 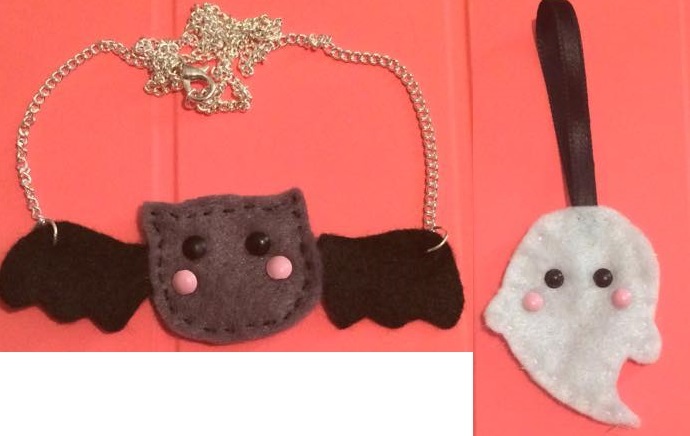 I came across The Procraftinator on Etsy which sells very cute handmade felt decorations. Firstly, I chose this cute little hanging ghost decoration. This is precious - not gonna lie, I will be hanging this all year round. It's definitely not just for Halloween, it will look very cute in my kawaii themed room in my house. I also got this cute felt bat necklace. It has little blushing cheeks like my ghostie and it's gorgeous. This looks really cute worn with a fairly low cut plain top, I wore it out like this the evening that it came in the mail! The final thing in my pretty package was a cotton star garland. They're stuffed so they're nice and soft. 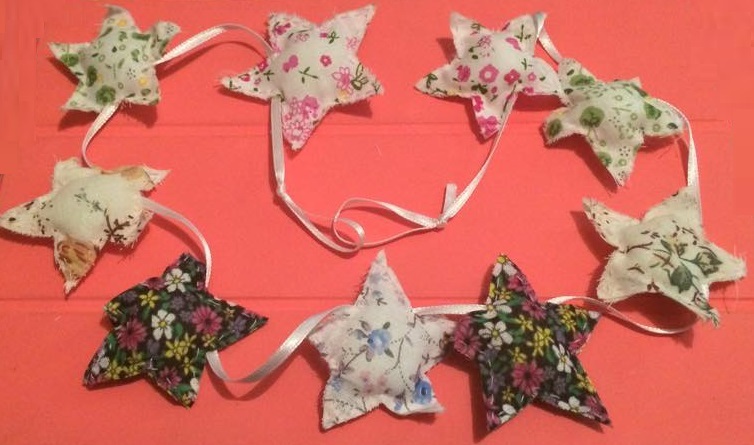 They are made in a variety of cute patterns and then threaded onto white ribbon to make a garland. This will look lovely along my fireplace. It's absolutely adorable and so well made! Be sure to check out The Procraftinator on Etsy for all your Halloween needs! She will definitely have something that you'll like!